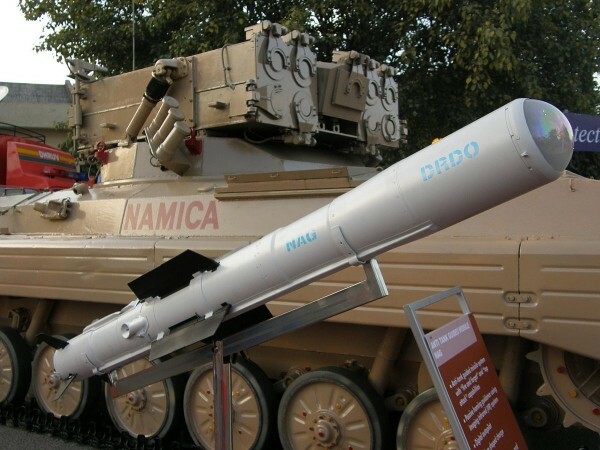 Both weapons have been developed by DRDO and while the Smart Anti-Airfield Weapon (SAAW) will be inducted into the Indian Air Force after successful trials, the HeliNa anti-tank guided missile will equip attack choppers of the Indian Army. Two indigenously developed weapons were successfully tested at separate firing ranges in Rajasthan on Sunday, according to the defence ministry. Guided bomb, Smart Anti-Airfield Weapon, (SAAW) and guided air-launched anti-tank missile HeliNa hit their targets at the Chandan and Pokhran ranges, respectively, with pinpoint accuracy. SAAW was released from an Indian Air Force fighter plane while the HeliNa was fired from an Indian Army Rudra helicopter gunship. In the test, SAAW was integrated with a live warhead and it destroyed the target with pinpoint accuracy. SAAW can be used to destroy a variety of targets on the ground using precision navigation. The tests were conducted between August 16 and 18. HeliNa (Helicopter Nag) is the air-launched version of the Nag anti-tank guided missile and is the primary weapon of the light combat helicopter (LCH) and Rudra, an armed version of the indigenous advanced light helicopter Dhruv. The missile, which was test-fired on Sunday, has a range of 8km. According to a ministry of defence statement, HeliNa was released smoothly from the launch platform and tracked the target throughout flight path and hit it with great precision. The Nag missile and its derivatives, including the HeliNa, are considered to be among the most advanced anti-tank missiles in the world. Defence Research and Development Organisation (DRDO) is developing the SAAW and HeliNa. Defence Minister Nirmala Sitharaman congratulated DRDO scientists for the successful trials of both the weapons and said that once inducted, they will boost the defence capabilities of the nation.